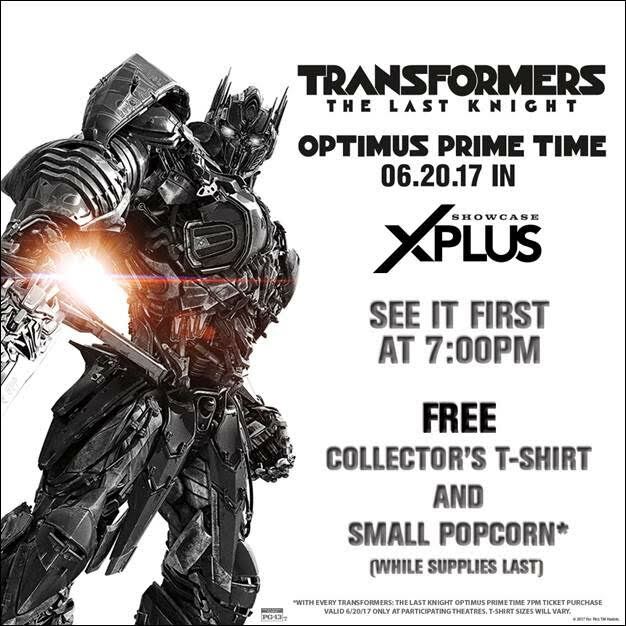 Be Among The First To See Transformers: The Last Knight and Save! On Tuesday, June 20th at 7pm, Island 16 Cinema de Lux will host a special advance screening of Transformers: The Last Knight in XPlus 3D. Guests who purchase tickets to the 7pm screening will receive a free collector’s t-shirt and small popcorn while supplies last and will enjoy “Bargain Tuesday” discounted admission! Showcase XPlus features the most advanced sound, digital projection and screen technology available today, offering moviegoers an unmatched cinema experience with immersive sound, crystal clear projection and reserved seating.